They're here! The Tokyo Disney Resort Line trains are undergoing final preparation for the brand new Tokyo Disney Resort Line. As you can see, they are much bigger than monorail trains we have at USA Disney parks and sport a different design. 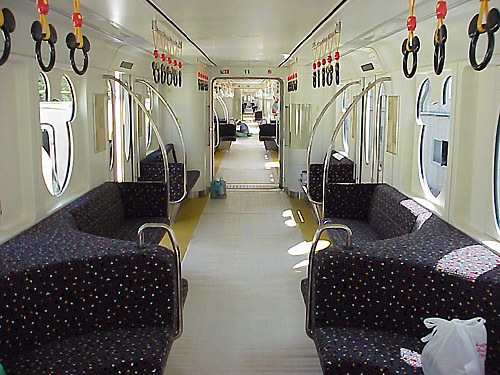 The door at the front cab is required by Japanese Monorail Association standards to allow train to train evacuations in the rare event of mechanical failure or emergency. Thanks to an anonymous donor from Japan for these spectacular images.